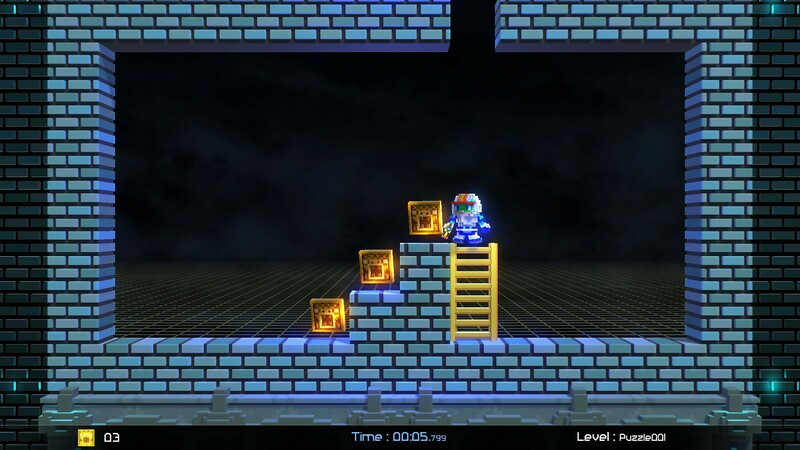 Lode Runner Legacy is a 2D platformer, but with a 3D voxel graphics aesthetic. It is the latest entry in the classic puzzle-platforming series. In each level, you need to collect all of the gold and then reach the goal while avoiding enemies and staying alive! 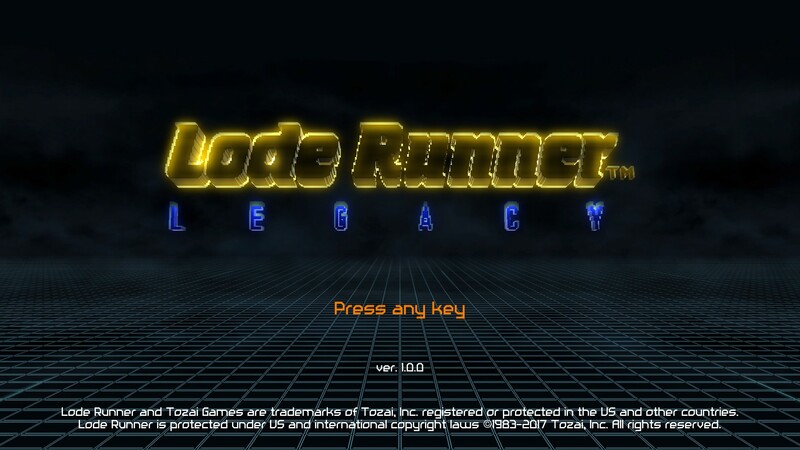 Lode Runner Legacy comes with a number of different game modes. There’s the new Adventure Mode, complete with nice little cut scenes. Puzzle Mode adds a new twist to the gameplay by tasking you with figuring out how to get all the gold and reach the goal in each level. 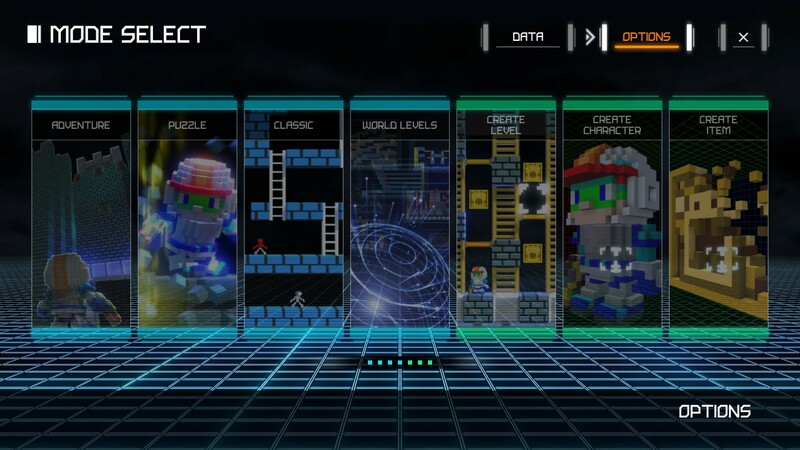 Classic Mode contains 150 classic Lode Runner levels with a different set of voxel graphics that give it a more classic look. There are also online leader boards, as you can see in the image below. 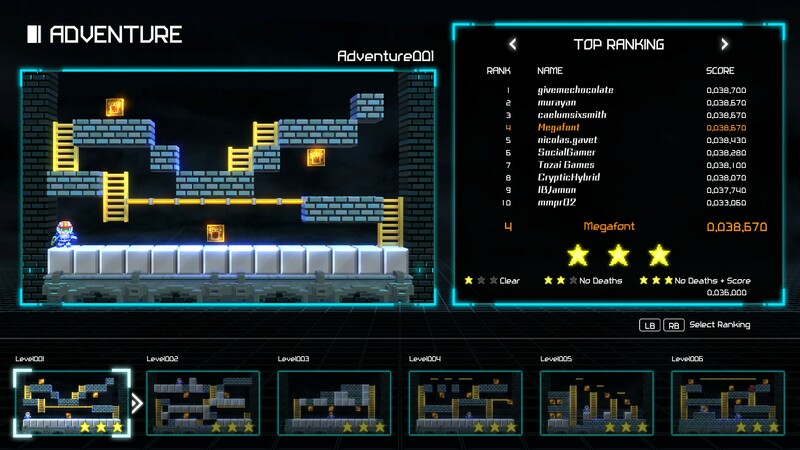 The game also features editor modes for creating your own levels, characters, and items to place in your custom levels. I messed with the editors a little bit and created a custom gold item. The editors are pretty simple and easy to use, but also somewhat incomplete as I’m using a preview copy of the game. In the level editor you simply click to place blocks, characters, and items wherever you want. I also played around with the item editor. The image below shows a custom gold item I made. If you’re a Lode Runner fan, you might just recognize it as a piece of gold from Lode Runner: The Legend Returns (except I made it 3D of course). I recreated a piece of gold from Lode Runner: The Legend Returns using the game’s item editor. 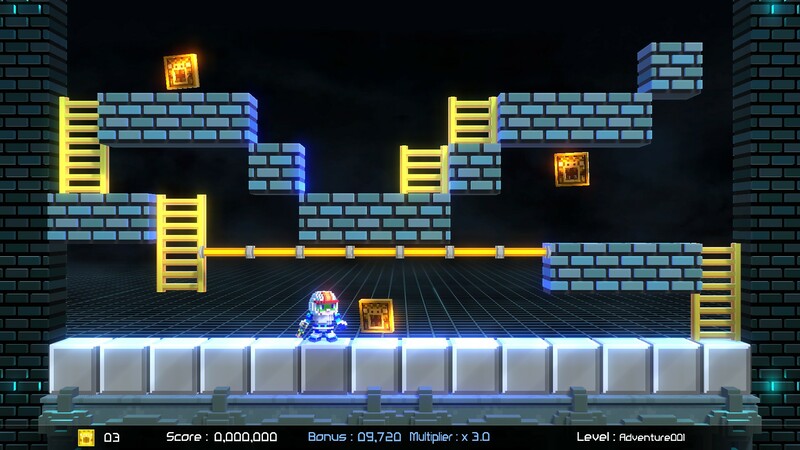 Lode Runner Legacy has a fast-paced platforming style, as you’re often running from enemies while trying to reach all of the gold in the level. This can add a lot of tension to the gameplay, especially as you get deeper and deeper into the game. You can earn up to a three-star rating on each level. The game also keeps track of your best clear time for each level, which is displayed in the online leader board when you select that level. This is true in all game modes. The sound effects are rich and well done, with a very satisfying retro feel. The music also exudes that retro style, which this game pulls off quite well. Together, the sound effects and music really help bring out that old-school vibe. 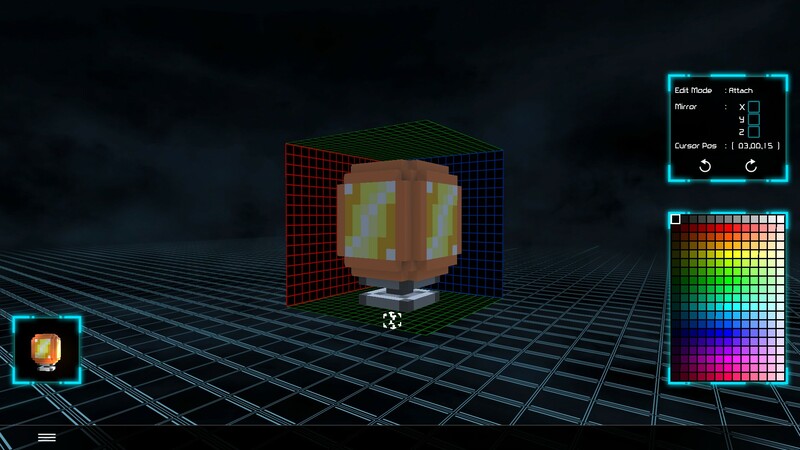 Classic Mode has its own special set of voxel graphics with a more retro look and feel. Lode Runner Legacy is a somewhat fast-paced action-platforming game. Of course, Puzzle Mode is a slower-paced mode with a bit more thinking involved. 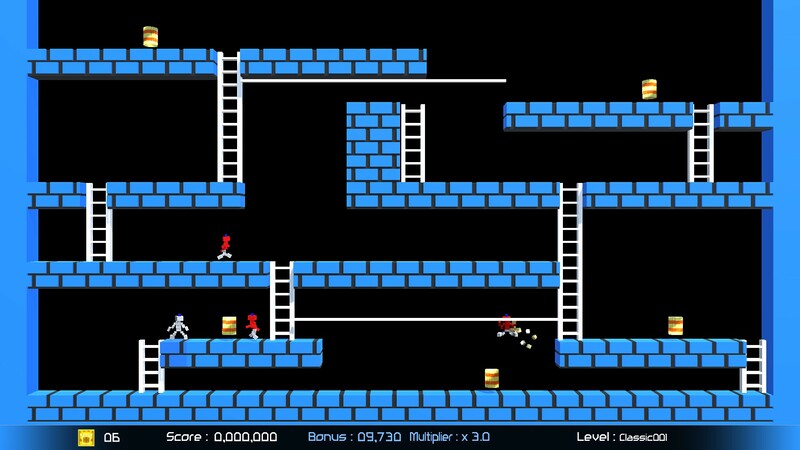 Lode Runner Legacy is a very fun title by Tozai Games. You can find the game’s page on Steam, though you can’t buy it just yet. Lode Runner Legacy is set to charge onto Steam sometime this summer, so it’s not too far off. As of this writing, the price is not yet listed. This preview was made using a preview copy generously provided to us by the developer/publisher. Lode Runner Legacy is an addictive, action-packed retro platformer and a blast from the past!